At Agile Australia 2014 in Melbourne, Craig and Tony grabbed the microphone and scoured the conference foyer in one of the breaks looking for interesting people in the Australian Agile community to ask them about what they are working on and their views of the conference. 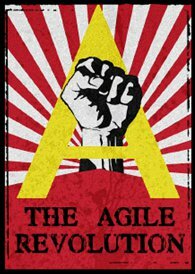 Renee Troughton – Agile Revolutioner and needs no introduction! This entry was tagged agile, Agile Australia 2014, Craig Smith, David Brough-Smyth, Maxime Gorenewoud, Michael Stange, Nigel Dalton, Nish Mahanty, Paul Detheridge, Renee Troughton, Steve Lawrence, Tom Sulston, Tony Ponton. Bookmark the permalink.